By buying this product you can collect up to 57 loyalty points. Your cart will total 57 points that can be converted into a voucher of £ 0.57. 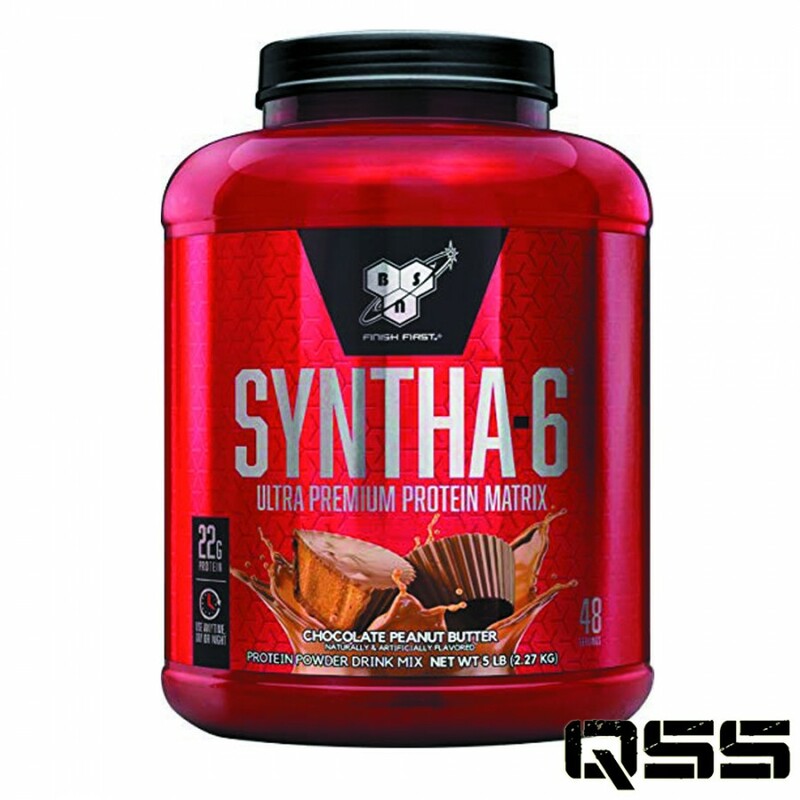 Prepare for an onslaught of flavour with SYNTHA-6 an ultra-premium protein supplement with 22 g of protein and an unbeatable milkshake-like taste and texture. Featuring a unique synthesis of premium proteins, SYNTHA-6 supports muscle growth and repair# for your most intense workouts. Use SYNTHA-6 first thing in the morning, as a meal addition, before bed or whenever you crave a multi-functional protein that tastes so damn good you’ll think it’s your cheat day. Protein Blend (Whey Protein Concentrate, Whey Protein Isolate, Calcium Caseinate, Micellar Casein, Milk Protein Concentrate, Emulsifier (Soy Lecithin)), Sunflower Oil Powder (Milk), Thickeners (Polydextrose, Cellulose Gum), Flavourings, Medium Chain Triglyceride Powder (Milk), Sodium Chloride, Colour (Beetroot Red), Sweeteners (Sucralose, Acesulfame K), Egg Albumen, Glutamine Peptides (Gluten). Mix 1 heaped scoop (47 g) with 120 - 150 ml of cold water. Adjust as needed for taste.